"Experience the thrill of the classic time-travelling blockbuster Back to the Future with a live orchestral score. For 2019, the Czech National Symphony Orchestra play award-winning composer Alan Silvestri's score, conducted by Ben Palmer. The 1.21-gigawatt hit that dominated the 1985 box office, spawned two wildly successful sequels and stamped an enduring imprint on pop culture is back with a bang." 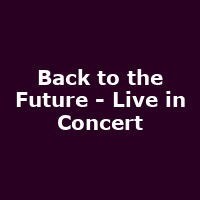 Sat 25th May 2019 Back to the Future - Live in ConcertRoyal Concert Hall/ Strathclyde Suite (Glasgow)More Info..